I was actually a bit nervous going in to this since most of my friends on Goodreads who’ve read it didn’t like it very much, if at all, but I liked it quite a bit! I acquired it when a friend was moving a while back and basically let me have free reign on her bookshelves (such a good haul), and then ignored it until I pulled it out of my TBR Jar for February. 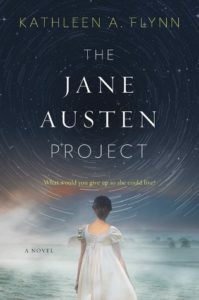 Though I shake my head at the way the time travel works in this book, the actual mechanics of it, the focus is really on our two characters insinuating themselves into the lives of Jane Austen and her family, and that part works beautifully. I was impressed with the level of historical detail here. Our main character, Rachel, and her companion Liam are time-traveling to Austen’s era in order to obtain the full manuscript of The Watsons, which was previously thought unfinished, but a recently surfaced letter between Jane and her beloved sister Cassandra indicates otherwise. Their job is to become experts in Regency England, insert themselves into Jane’s life as smoothly as possible, and quietly claim the manuscript (and all of the letters between Jane and Cassandra that were famously burned after Jane’s early death, so that her life could remain private). So not only are they there to violate her trust and privacy by lying about their identities and stealing from her, they’re also going to purposely reveal her private life to the world, and to history. Rachel and her colleagues view themselves as scholars doing this for knowledge, but once they’re there, she and Liam (who are posing as brother and sister) have to deal with the reality of their subjects being actual people. The conflict in the book comes from their simultaneous affection for the time period and their new “friends”, and their desire to complete their mission. What I loved most about this book was Jane herself. I was really worried that in trying to portray this famous woman, Flynn would overcompensate, or misunderstand, but I found her depiction of Jane Austen to be lovely and nuanced. The contradiction between Rachel and Liam’s very modern values and the mores and customs of Regency England also gave me a kick. As mentioned previously, the time travel itself bothered me. I was at first intrigued and pleased by the way they discussed interfering in history. It’s been a month now, and I don’t have my copy with me to reference at the moment, but basically as variants into history, they were constantly monitoring the “probability field,” and worried about what actions of theirs might alter it so much that irreparable damage might be done. The part that bothered me were the rules surrounding potential alternate universes (it vaguely follows the idea of the multiverse theory of time travel that posits for every possible choice, there is a universe created where that choice was made). But the rules about memory were extremely unclear to me. What ends up happening to our characters did not make the most sense to me, which was bothersome because up until that point the book had been done very well. Time travel for me is always tricky, because I read and watch a lot of it, and I have very definitely opinions about what makes sense mechanics-wise and what doesn’t. This mostly didn’t for me. 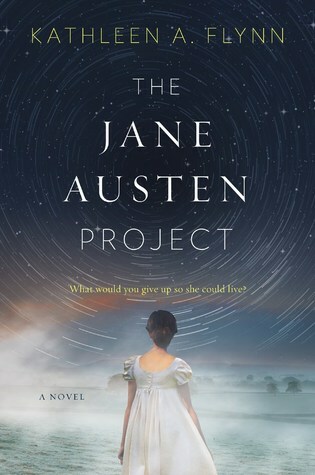 But overall, I can safely recommend this for fan’s of Miss Austen and her books. It’s one of the few Austen “fanfics” I’ve actively enjoyed, mostly because it’s not really Austen fanfic, and more historical fiction disguised as speculative fiction. I have been similarly putting this book off for many of the same reasons, so I’m glad you liked it! If you ever get to it, I will be interested to see how you react to it.